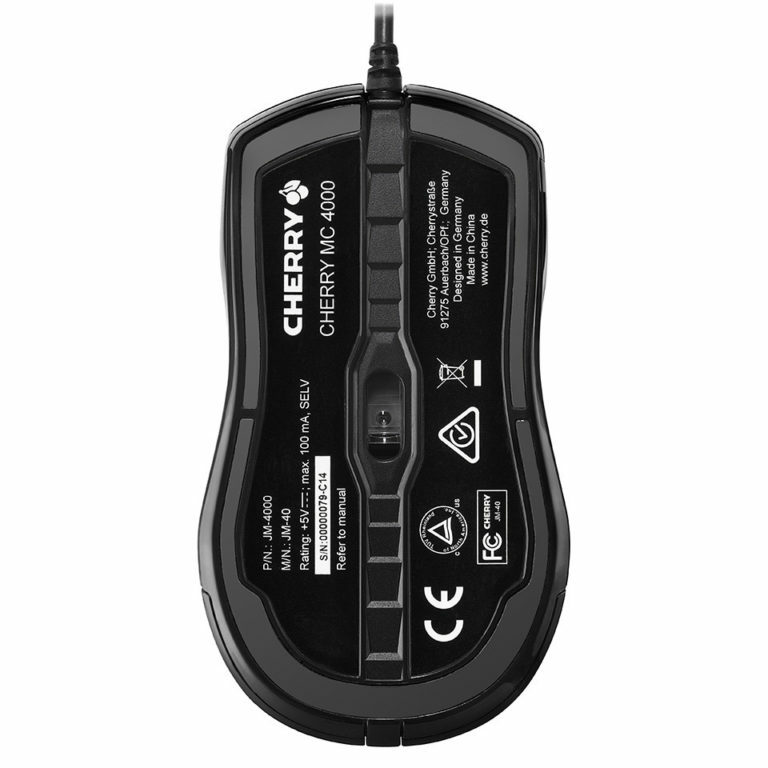 High performance periferics specialist Cherry has announced the launch of a new mouse to join their wide catalog, the Cherry MC 4000. This mouse is aimed at Professional Gamers and users that require maximum precision, which is why it uses the manufacturer’s best optical sensor. The optical sensor Cherry installed in the MC 4000 has it’s pros and cons. The biggest pro is absolute precision, at any speed and on any kind of surface that is not reflectant (like all optical mouses). The con is that it’s only capable of running at two resolutions: 1000 and 2000 DPI. This huge limitation exists to make sure the sensor’s precision is absolute. Also, it has two different lights, red light at 2000 DPI and blue at 1000 DPI. It has a button next to the scroll wheel that changes the resolution easily. One interesting feature is that the manufacturer installed teflon feets that cover the whole perimeter of the mouse’s base, in such a way that it’s always supported on sliding material so it slides perfectly at all times. I can’t remember any mouse of any manufacturer with this base disposition. 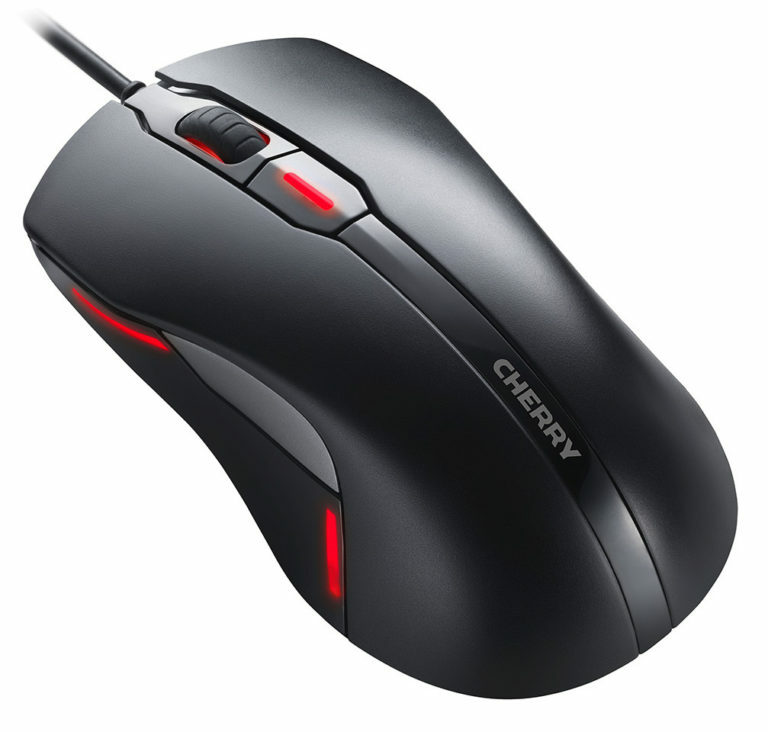 The Cherry MC 4000 has an ambidextrous disposition, being symmetrical and thus plausible for both the left and right-handed. You have an unique lateral button on each side (two in total), more suited to configure some specific action in some game than to browse the internet, which is usual in any mouse with lateral buttons.